The UK has climbed back up to seventh in EY’s Renewable Energy Country Attractiveness Index (RECAI), its highest position since cuts to renewable subsidies sent its ranking tumbling. And EY has attributed much of the increase to the advent of subsidy-free solar developments. Published today (2 May), the latest edition of RECAI charts the UK’s re-entry into the top ten destinations for renewables investment. 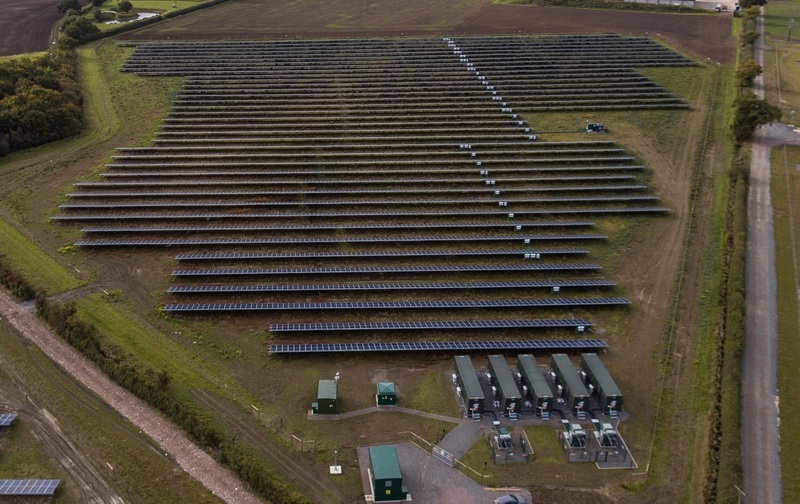 Last summer renewables developer Anesco claimed a UK-first with the development of the Clayhill Solar Farm, a 10MW solar farm constructed alongside battery storage units without any subsidy support. A number of other solar developers have also established their intent to bring similar projects over the coming 18 months, with Solar Media’s in-house market research division stating there to be up to 4.2GW of solar projects at various stages of planning in the UK. The likes of Wirsol, INRG, and NextEnergy Capital have committed to developing utility-scale solar sites in the absence of subsidies, with NextEnergy in particular looking to commence work on specific projects later this year. Meanwhile EY has also pointed to an increasing number of investments in renewables, particularly solar, being made by oil and gas incumbents as they look to diversify their generation portfolios. Late last year BP acquired a 43% stake in solar developer Lightsource, echoing similar investments made by the likes of Shell, Total and Enel. Ben Warren, global power & utilities corporate finance leader at EY, writes in this quarter’s RECAI that the triggers for these investments are both short- and long-term. “In the long term, they recognize that climate change and the rise of electric vehicles will crimp demand for hydrocarbons. In the short term, they see the rapid growth of renewable energy and an opportunity to deploy their capital and expertise in a fast-evolving new energy market,” Warren wrote.